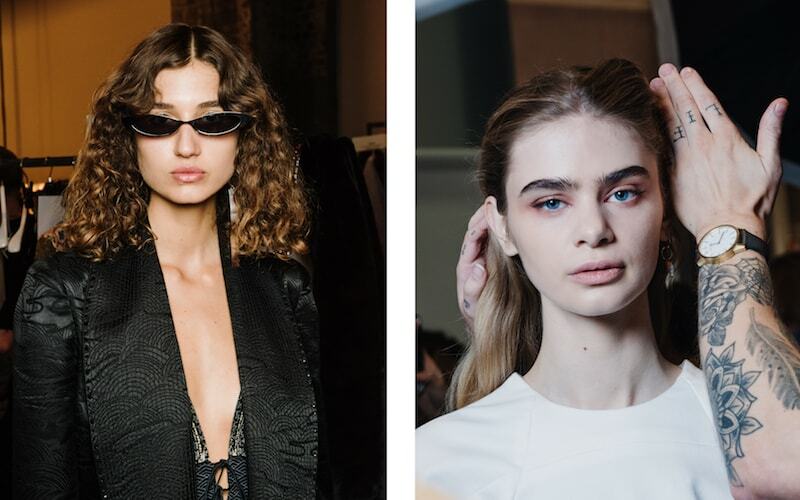 Mercedes-Benz Fashion Week Australia always delivers some epic beauty looks and this year did not disappoint. 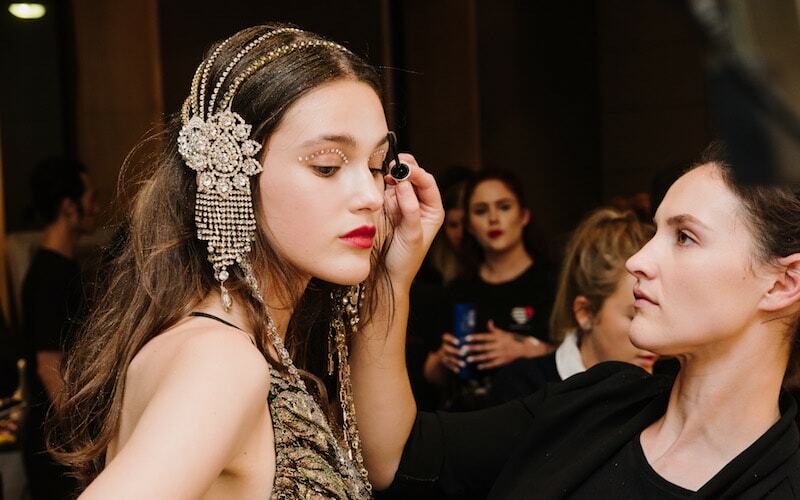 We loved seeing the mixture of hair and makeup styles come together behind the scenes, and, while natural glowing skin dominated, some designers delivered ‘runway-only’ looks that had everyone talking well after the cameras stopped flashing. 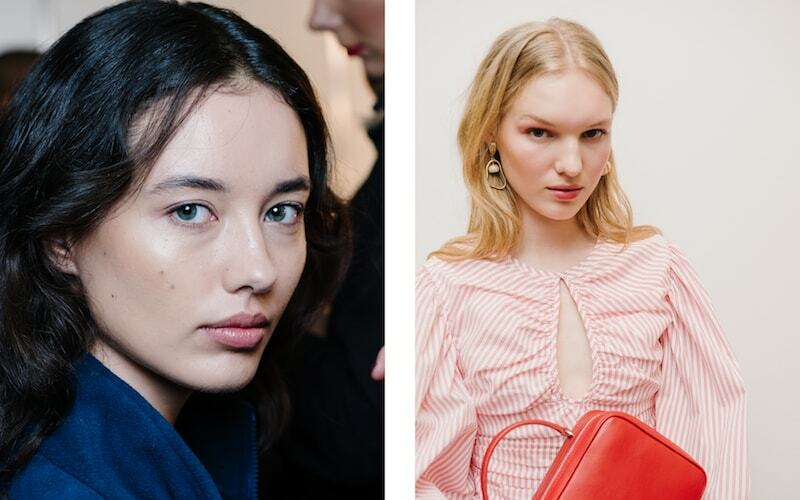 Scroll down for a wrap of our favourite beauty moments from MBFWA ’18. 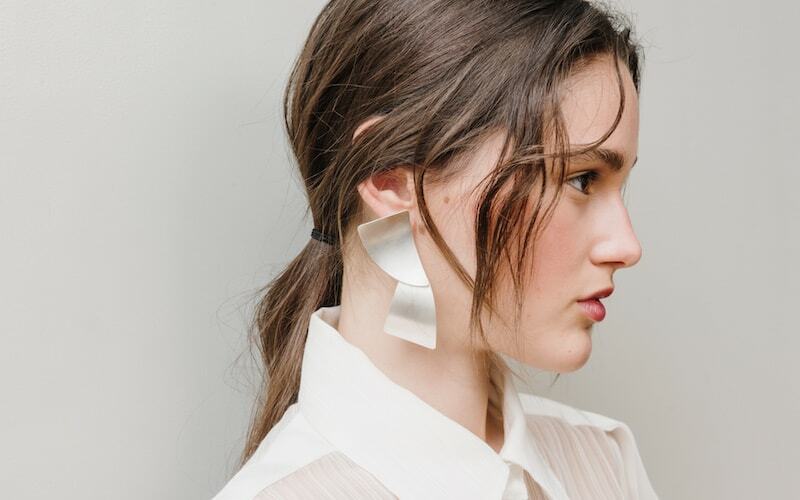 Many designers opted for natural, “cool girl” hair this year (we’re looking at you Christopher Esber, Camilla & Marc and Double Rainbouu). 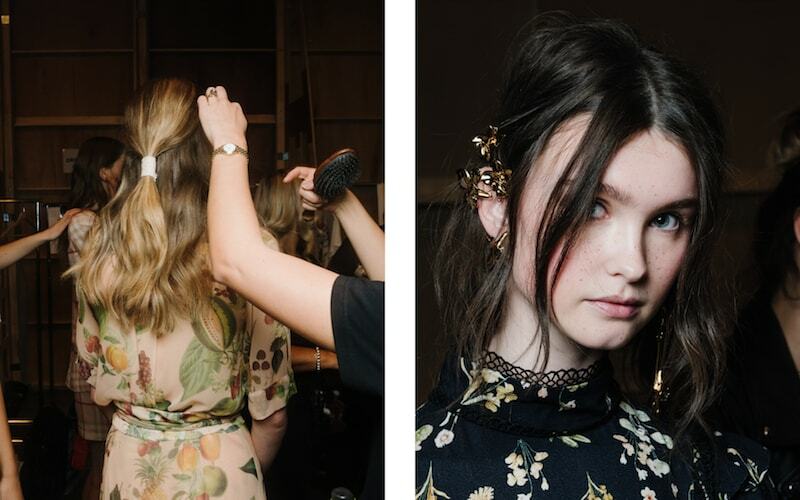 There were also long wispy braids, swept up waves and loosely tied ponytails – all of which are super wearable for us non-model folk. As always Camilla and Romance Was Born caused a stir with beauty looks that featured glitter, rhinestones and dramatic hair. 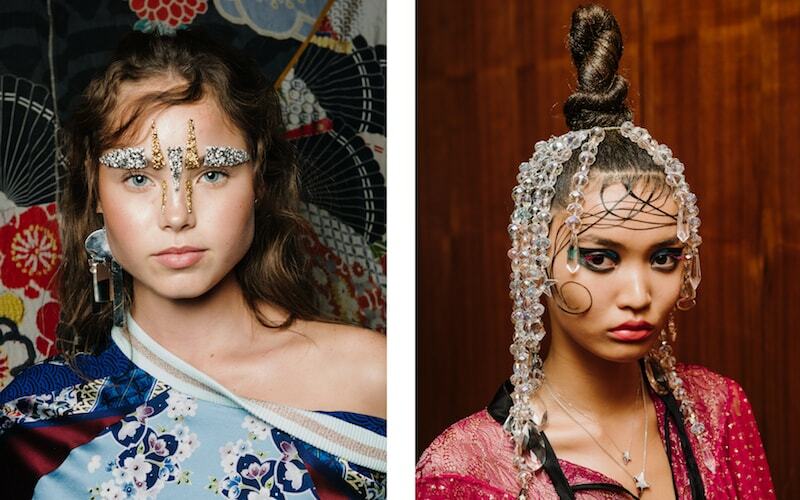 We also saw unexpected embellishments from 10 Pieces and Double Rainbouu with models adorned with nose rings and fish hooks. 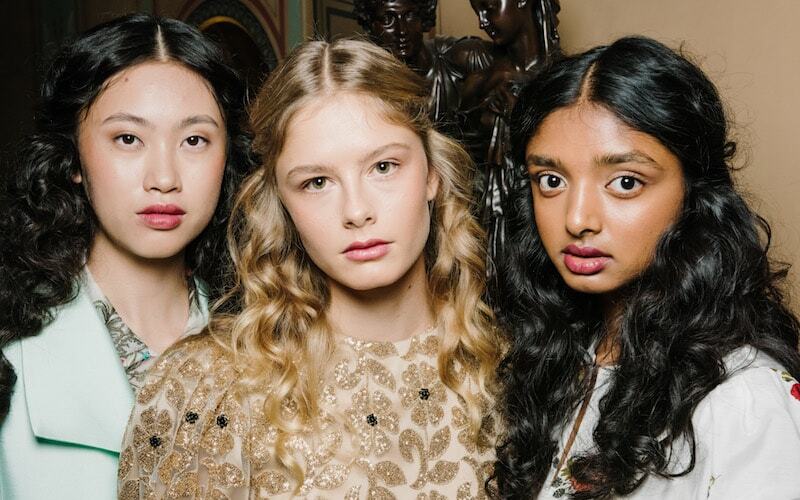 Natural skin, glossy cheekbones, minimal lashes and pouty pink lips were everywhere. 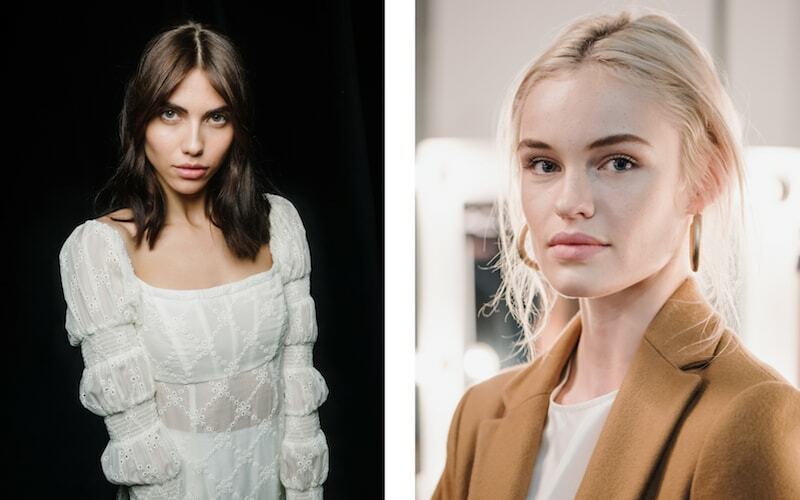 Models looked young and fresh – giving us that Resort vibe that’s super pretty and luckily relatively easy to recreate at home. 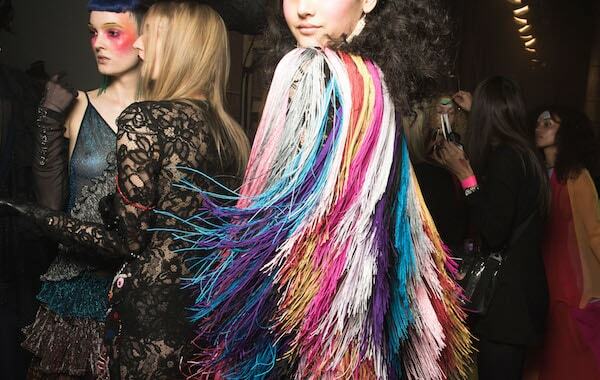 There was some serious glam power backstage at JETS with voluminous hair, extreme bronzer and bold lashes inspired by “pool-side Versace”. 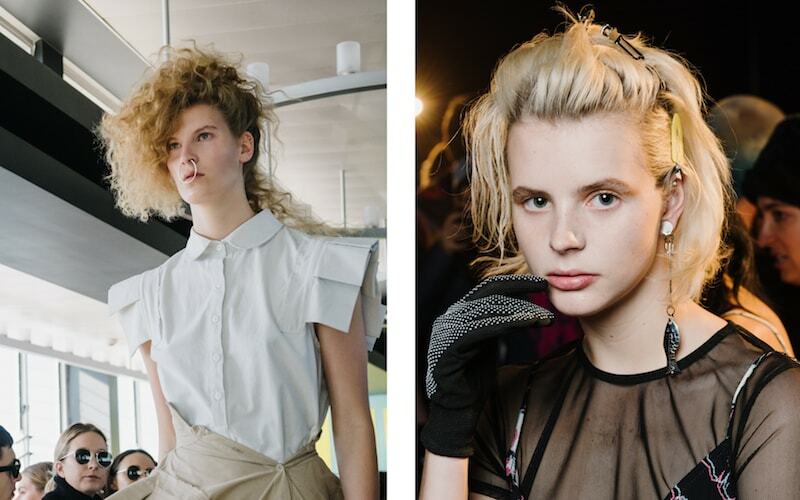 Alice McCall also ramped up the feminine feels with thick, graphic eyeliner and pulled back retro hair. All images shot exclusively for Flaunter//@flauntermedia_ by Tim da-Rin//@timdarin. If you are journalist, stylist, blogger or influencer and would like access to our hi-res images from backstage at MBFWA ’18 please create your free account here or email us.